Mushrooms are delicious and they are meat for vegetarians. They also extremely good for you. Add them to dishes for a hit of Vitamin B and Iron in the process. 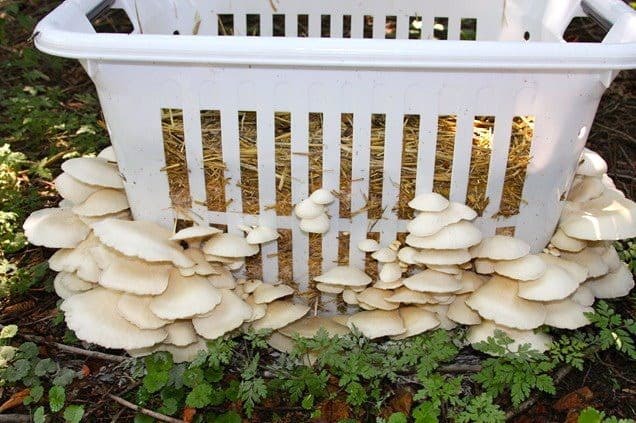 Did you know you can grow Oyster Mushrooms easily in Coffee Grounds and Cardboard or a Laundry Basket? Even better, you can do it all year round, indoors or outdoors. What could be better than growing your own? Whilst greens are known to have all the best nutrients, Mushrooms do too! Their anemic appearance actually hides a wealth of health benefits. They are also not a vegetable. They are from the Fungi kingdom and are well known for their good Protein levels. We have included an Infographic outlining endless health benefits of Mushrooms further down our post. 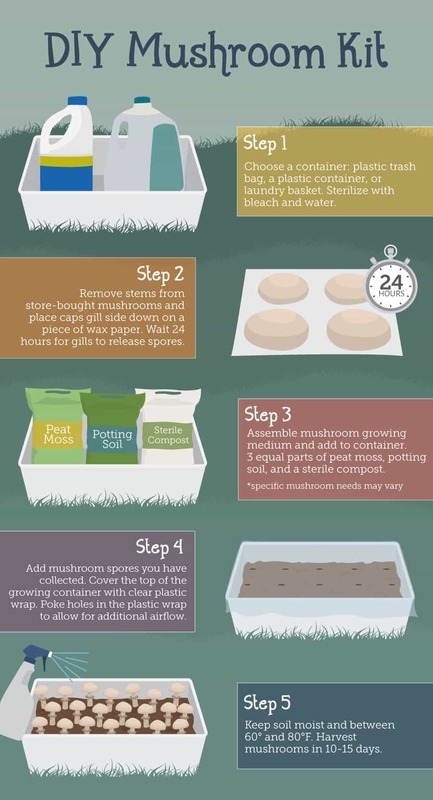 The above Infographic from Fixx shows you the 5 steps to growing mushrooms. Step 1. Choose a Container that is suitable to grow your mushrooms. A laundry basket or trash can will work well. Be sure to sterilize it with bleach and water. Step 2. Remove stems from store bought mushrooms and place the caps, gills down on wax paper. Wait 24 hours for gills to release spores. Step 3. Assemble your Mushroom growing medium and add to container. 3 Parts Peat Moss, Potting Soil and Sterile Compost. Step 4. Add mushroom spores that you have collected. Cover the top of the container with clear cling wrap to allow for additional airflow. Step 5. Keep Soil moist and between 60-80 degrees Fahrenheit. 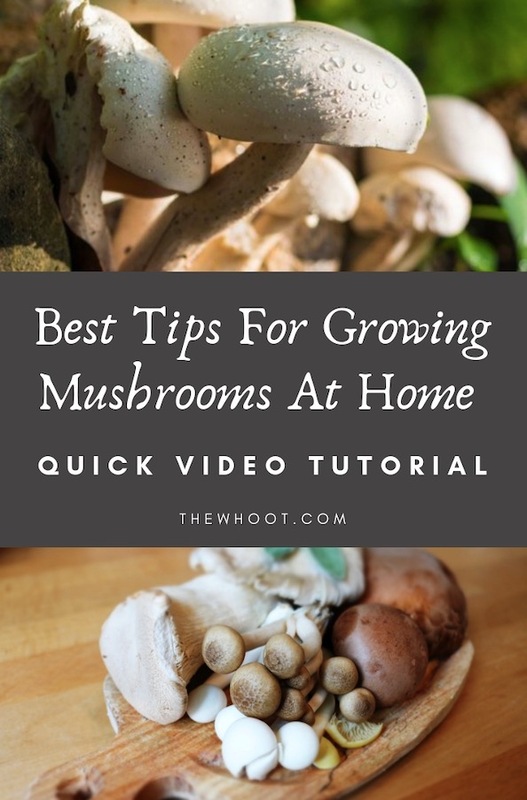 Harvest mushrooms in 10-15 days. Thanks to Survivopedia for this great Infographic that shows you all the different varieties of Mushrooms and the many benefits that they contain. Mushrooms are known for their cancer-fighting properties, lowering of blood pressure, anti fungal and bacterial and that’s just the start. There’s plenty of reasons to include them daily. 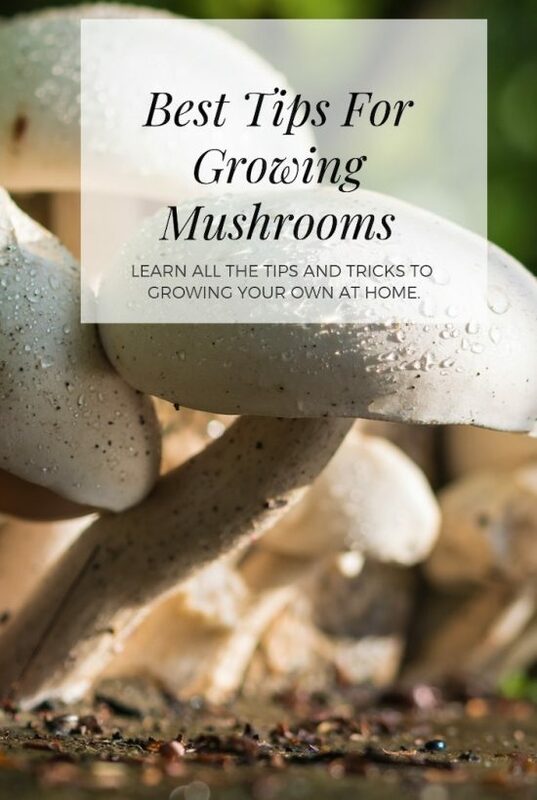 Mushrooms can be grown indoors or out and they grow from Spores not Seeds. Over on A Piece of Rainbow Ananda is also growing her Oyster Mushrooms in used Coffee Grounds, A plastic bottle and some cardboard. This is another easy and ingenious method. Over on the Milkwood they have used a Laundry Basket to grow their mushrooms. This is an ingenious idea. They also have a full tutorial on their site to show you how. Learn how you can save money and enjoy endless supplies of your favorite veggies.